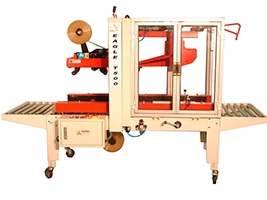 Standard side belt, Use either 2" or 3" tape. 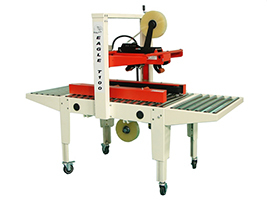 Designed to seal very small cartons and is best suited for medium volume production. 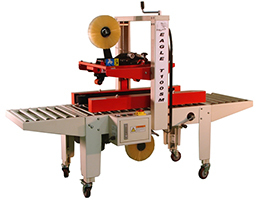 Takes the rigidity and simple design of the Eagle T100 and adds a set of top belts to stabilize tall, narrow cartons for proper sealing. 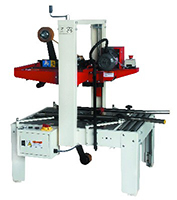 Offers a set of top and bottom belts and is well suited for wider boxes. 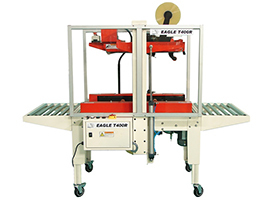 The Eagle T500 makes it possible for the operator to seal different sized cartons with minimal adjustments required. 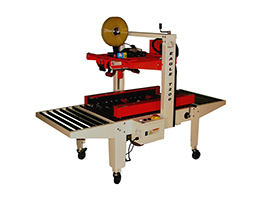 Interested in a tape/case sealer program? 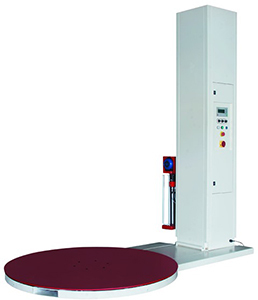 Email with your details including the number of cartons and sizes you are sealing per day to see if you qualify.